Women everywhere are puckering up for pink! 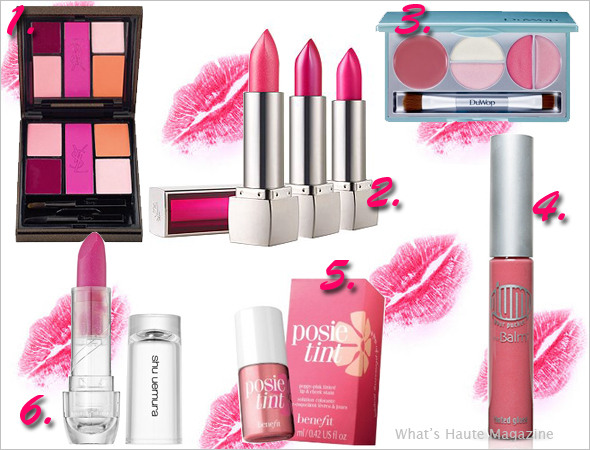 Celebs set the trend and now hot pink lipstick is a must-have and no matter what your skin tone, you can rock it too. A matte face powder paired with a pink lip (à la Alexis Bledel) makes your entire face pop. Hot pink lips also look great paired with a smoky or dramatic eye, as seen on Beyonce, Rihanna, Taylor Momsen and Solange Knowles. Or go with rosy cheeks like Jessica Biel, to balance out the pink for a more natural look. Shop from the following variety of lipsticks, lip palettes, stains and glosses to get your own bubblegum pout. There’s a shade of pink that’s just right for every woman.